Sustainable Cod, mango & coconut, served with basmati rice. 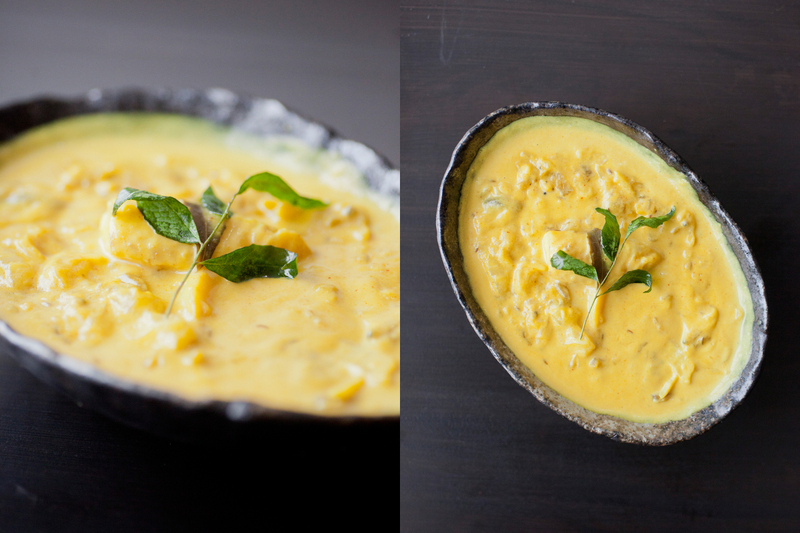 A light bodied & full-flavored Kerala style curry, uniquely brightened with fresh mango & spices. Using a heavy-bottom saucepan, heat coconut oil on medium-high, add & crackle those mustard seeds. Rinse, pat dry, cut into pieces & lightly season fish with salt & pepper. Gently cook fish in the curry, covered & on low heat, just until done.